Atlanta construction injuries are a serious risk for anyone within the construction field. Construction workers encounter many dangerous conditions on worksites, from heavy equipment and machinery to jobs which must be done at high elevations. Understanding the possible risks construction workers face is important to taking adequate safety precautions and preventing unnecessary harm. Not all construction jobs are created equal, and some construction workers face higher risks of different kinds of illnesses and injuries than others. Roofing is one example of a construction job where employees could face both the risk of illness and the risk of serious and sometimes fatal injuries. If you work in roofing, you need to understand the unique dangers that your profession creates and you need to understand your rights in case something goes wrong. An Atlanta workers' compensation lawyer can provide representation in situations where you are hurt while doing roofing work, so give us a call as soon as you have suffered an injury. To better understand the workplace injury risks, and the extent of the danger faced by roofers, researchers conducted a study in which the proportionate mortality rates of union roofers and union waterproofers were compared with others who had similar demographic profiles but who had chosen a different occupation. PubMed reported on the research, which had a troubling outcome. The research showed a disproportionately high mortality rate for the union workers who worked in roofing, as compared with general mortality rates. The PubMed research also illustrated the types of harm which can befall roofers who are doing their jobs. Falls are obviously a clear risk for anyone who is working at a high elevation, including a roofer. If you fall off of a building while you are trying to install or repair a roof, serious or even fatal injury could result. These problems could be avoided through the use of a fall protection system. 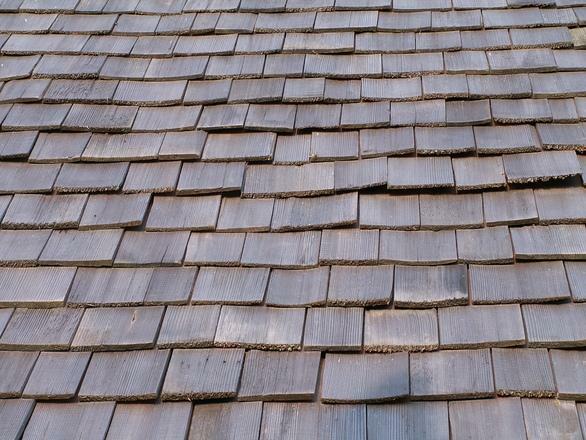 Roofers are not only at an increased risk of falls, though. Roofing professionals were found to have a greater likelihood of developing some serious conditions including various types of cancer such as cancer of the larynx and cancer of the bladder. Lung cancer and the possibility of developing benign respiratory issues are also more likely to impact roofers for several different reasons. Roofers are exposed to asphalt, coal tar pitch, and other bitumens. They are also exposed to extremely dangerous toxins like asbestos when they remove old roofs which were put onto buildings before the dangers of asbestos were recognized. If a roofer gets sick or gets hurt, the roofer or his family should pursue a claim for workers' comp benefits, including workers' comp death benefits when the illness or injury has fatal consequences. An experienced work injury lawyer can provide assistance in making a workers' comp claim and proving the injury or illness was work-related.